Good morning, welcome to visit back in sgdossh.gq on the writings of this time I will share the latest tips about ssh in android. We all already know that ssh functionality is not much at all especially in terms of security and connection speed when using SSH? But how do I use or connect ssh in android? 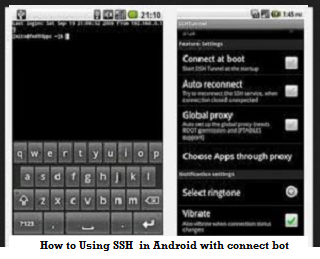 For that is what this post will discuss how to use ssh on android using connect bot.